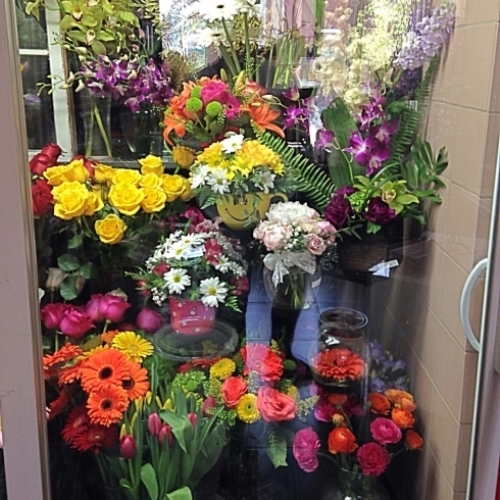 With pride, our flower boutique pays great attention to the quality, artistry and freshness of all our designs. 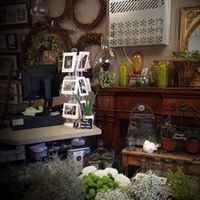 Located on the historic Main St. of old Newmarket our shop welcomes you to take a peek at all the unique gifts, plants and cooler of fresh flowers! 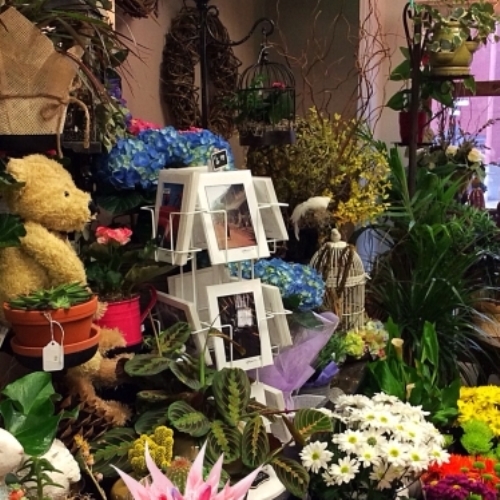 Come in and meet the owner and head florist. 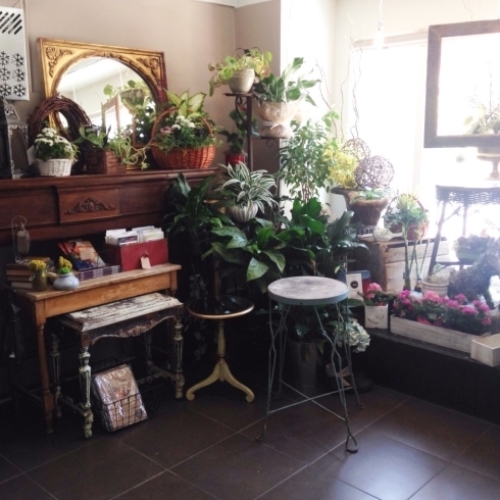 As a full service florist, bridal and gift boutique, we have the unique distiction of offering free consultations as well as the services of a jewelry artisan available for custom work. Handcrafted capes and stoles for cooler season weddings are presented by a talented seamstress. 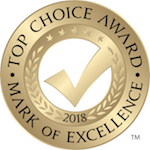 Blooming wellies is proud to once again be York Regions Top Choice Florist! *Our shop is open Monday, Tuesday, Friday & Saturday 9:30 a.m. to 5:00 p.m., Wednesday & Thursday 9:30 a.m. to 6:00 p.m., We are closed on Sundays. With the exception of December 24th we will be open from 9:30 am until 2pm also, Closed Christmas Day, New Years Day,Good Friday & Easter Monday Blooming Wellies will be closed Monday Oct. 8th for Thanksgiving To help assure on-time delivery during the busy holiday season, place your order at least 1 day prior to the following major holidays: Thanksgiving Day, Christmas Day, New Year's Day, Valentine's Day, Easter, Administrative Professionals Week, Mother's Day, Memorial Day, Father's Day, Independence Day and Labor Day. Weddings are our specialty. At Blooming Wellies we want your wedding to be as unique as you are. We take the time to listen to what you want for your wedding day. Let's chat over tea at your convenience and help create the wedding of your dreams! Blooming Wellies is pleased to collaborate with Utopian Trimmings, a unique jewelry boutique of handcrafted items for everyday wear or a feminine collection of bridal accessories ( hair combs/pins, hairbands, vines ,crowns,necklaces, earrings and bracelets) Custom orders are welcome and encouraged! Harmony Designs is our provider of luxurious bridal capes and shawls as well as fabulous vintage style aprons and essential oil heating pads. 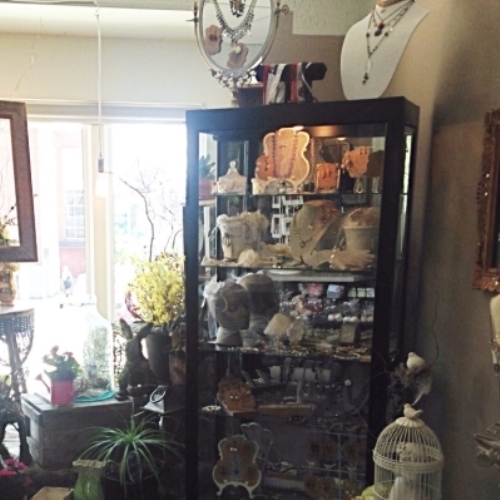 Our shop serves the following areas: Newmarket, Aurora, Stouffville, Vaughan, Toronto and GTA. Orders must be received before 1:00 p.m. in the recipient's time zone to assure same-day local delivery. Orders received after that time will be delivered the following day. With delivery from our shop to th efar reaches of the GTA and our growing neighbours to the north through the reliable serices of Dare Transit and Anthony Macri Delivery.